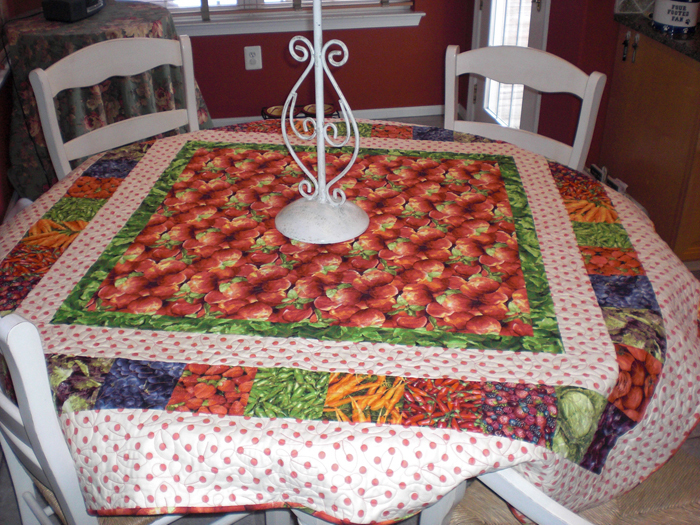 Make this bright & cheery tabletopper for your kitchen table! Jersey Fresh is a tribute to all those wonderful fresh fruits & vegtables that soon will be arriving at our local farmers markets! 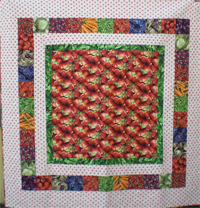 Quilt was designed by Susan DiBartolo, owner of The Village Quilter in Mt. Holly New Jersey. 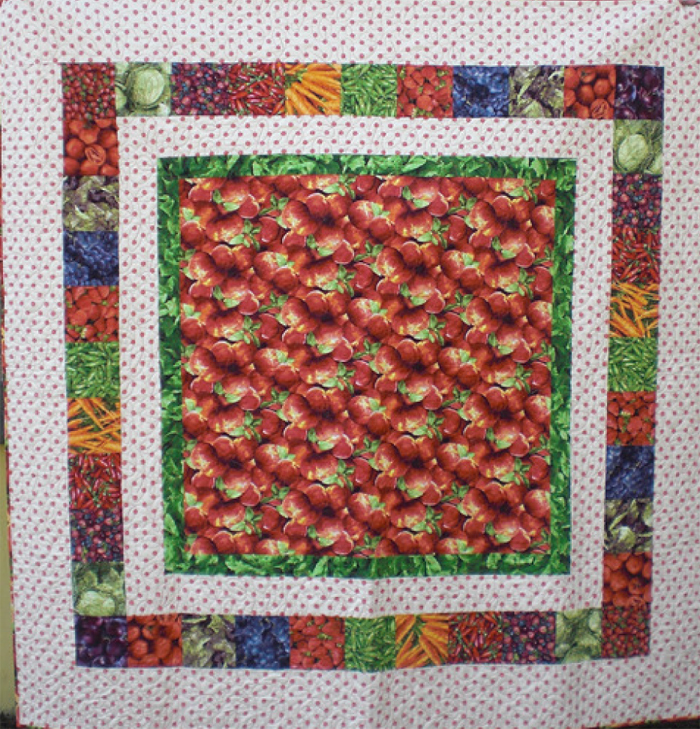 The quilt features RJR's Farmer's Market collection. A limited number of kits are available from The Village Quilter. Finished Size 65" x 65"
Owner of The Village Quilter. Opened in 2002 in The Mill Race Village in Historic Mt. Holly, NJ. "I started quilting in 1986. 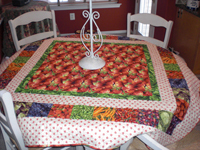 When I am not quilting I am busy running my quilt shop & internet business. I enjoy time with family & friends & traveling! I am married to my college sweetheart & have 2 grown children & have two dogs, Mia & Bella- sisters from Mississippi that we rescued last July!"